We are a leading Manufacturer of Zuper Grip Tread Rubber, E - 10 Tread Rubber, E 5 Tread Rubber, E 75 Tread Rubber and Qualis Tread Rubber from Kochi, India. We are a leading Manufacturer of Eastern Hot Rubber Slab Treads, Repair Patches, Black Vulcanizing Cement, Radial Patches and Bonding Gum Patches from Kochi, India. 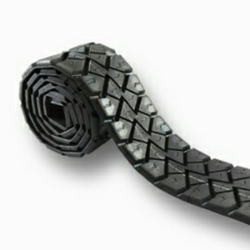 Manufacturer of a wide range of products which include Transport Tread Rubber, Viking Tread Rubber, Lug Master Tread Rubber, Jet Track Tread Rubber and Cross Lug Tread Rubber.